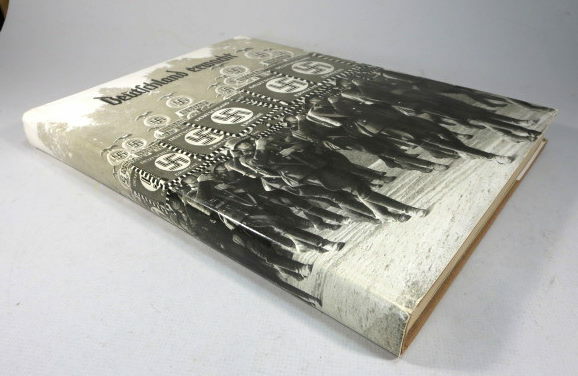 This is an original cigarette card album complete with all the original cigarette pack photos from 1933 and not a more recent replica or reproduction. 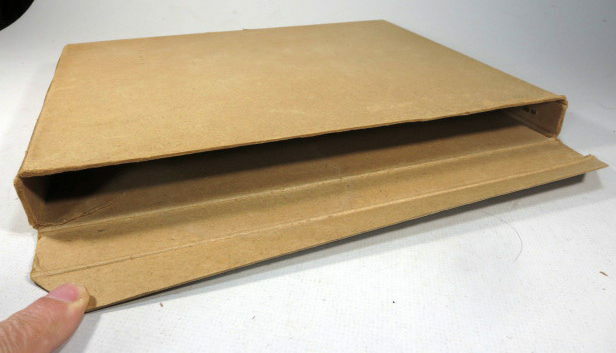 It comes with a dust cover and cardboard outer box. 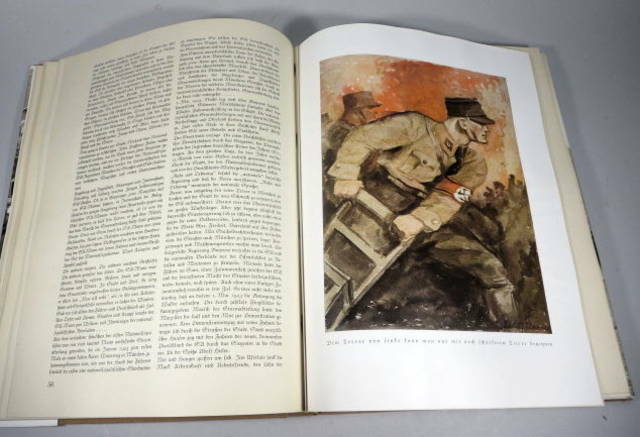 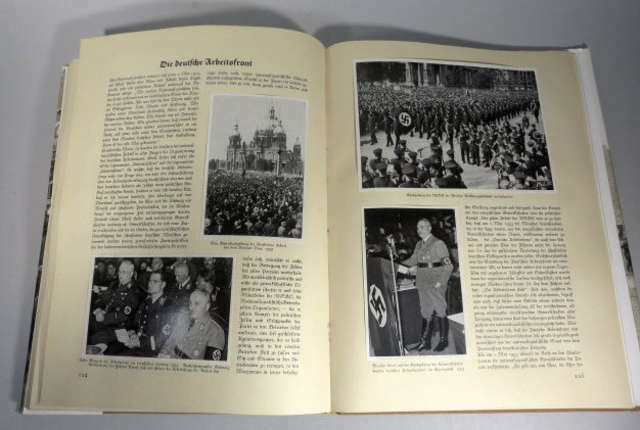 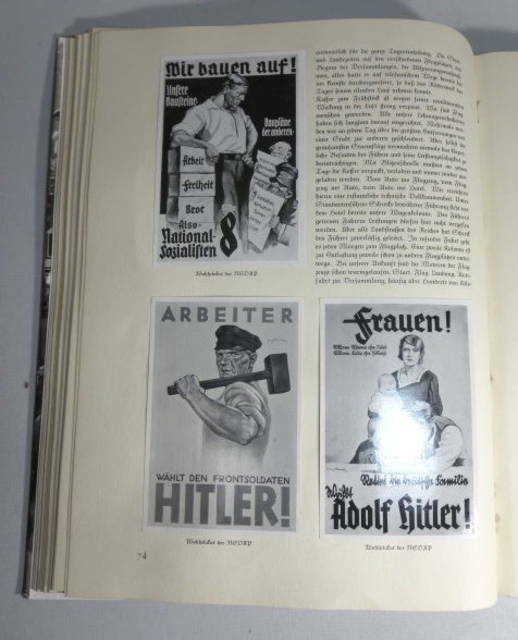 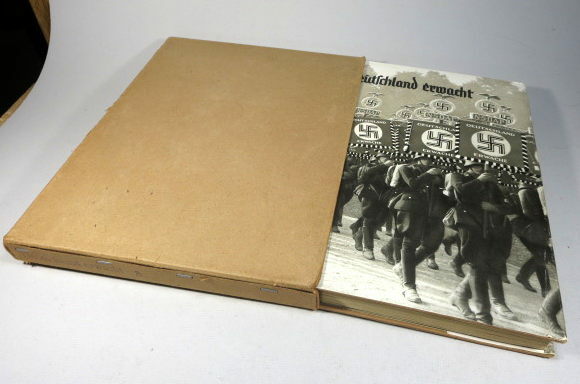 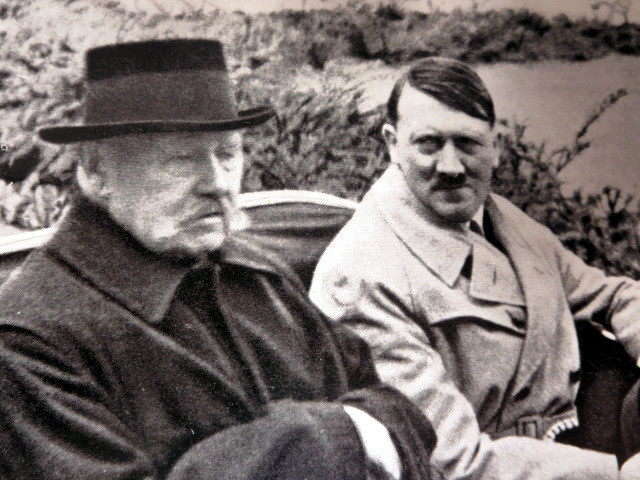 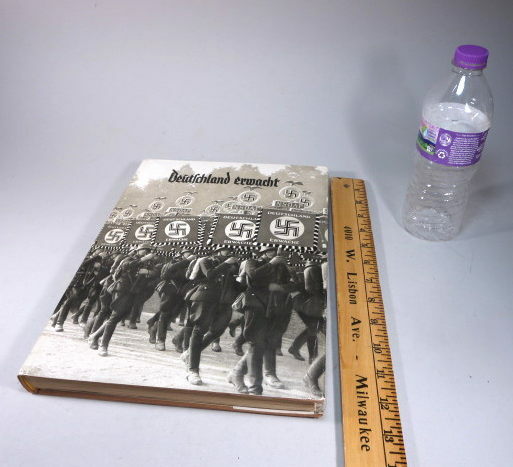 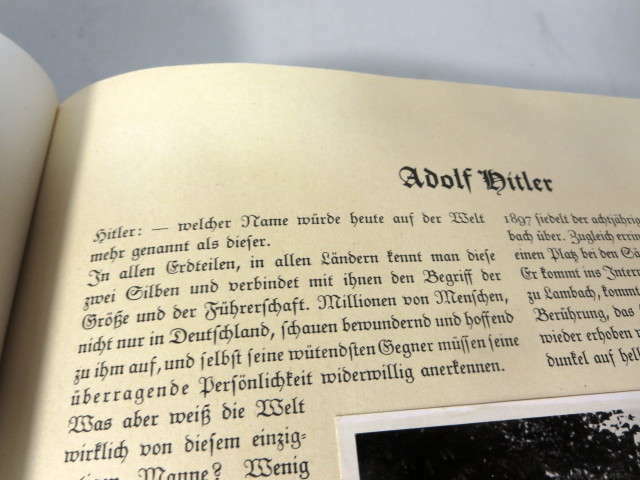 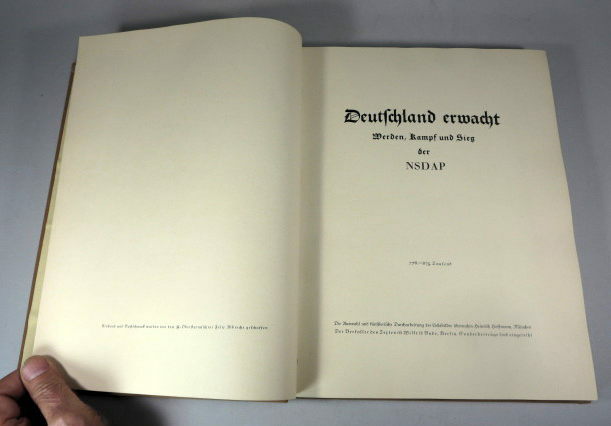 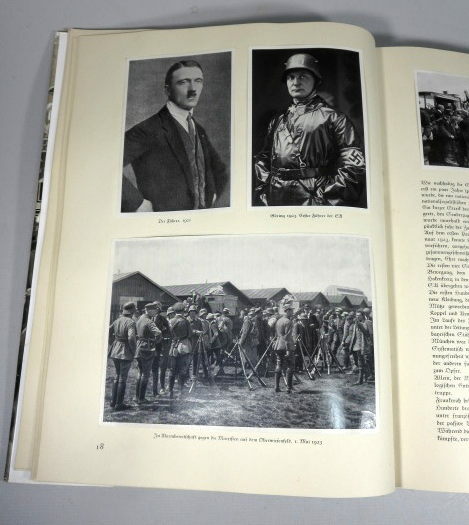 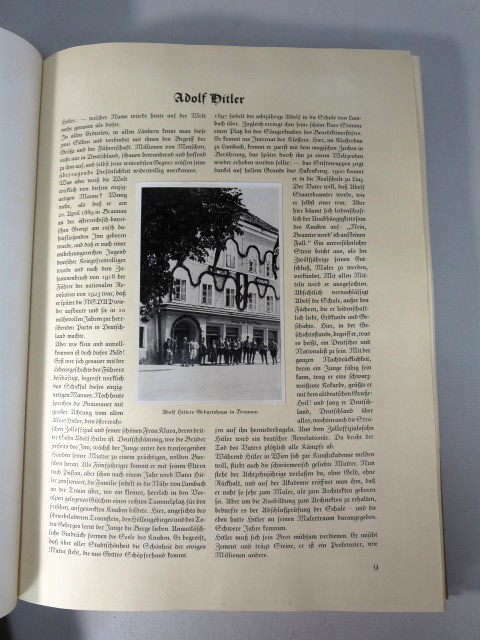 This is a propaganda book about the rise of the fuhrer Adolf Hitler and is complete with ALL the cigarette card photos. 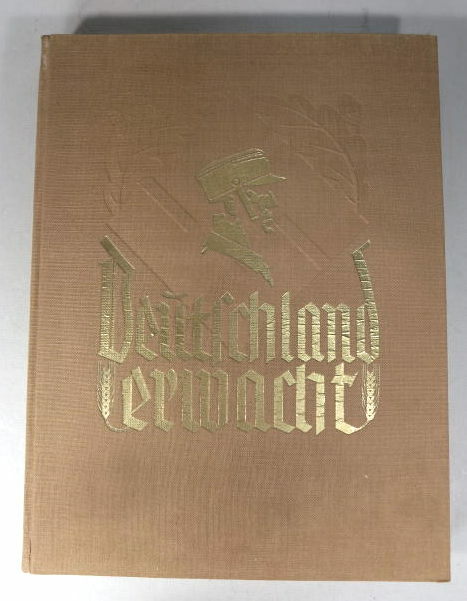 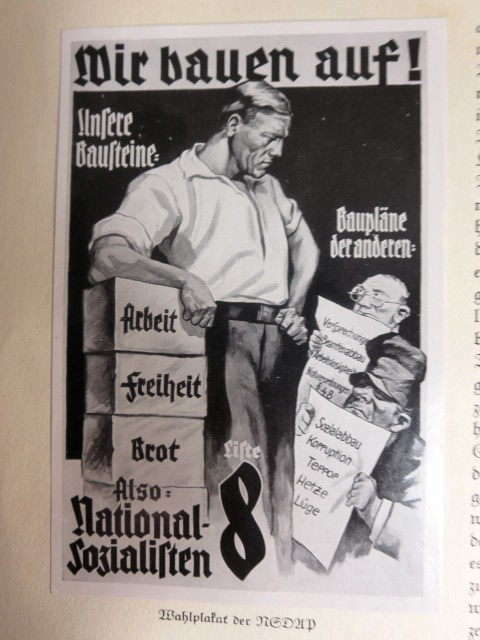 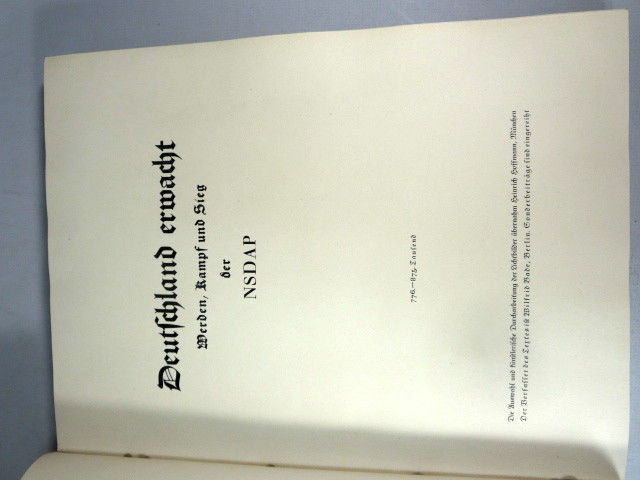 "Deutschland Erwacht" in English means "Germany Awakens or Awakes." 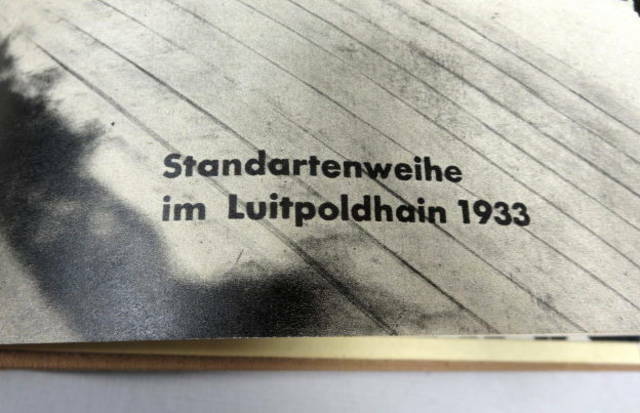 When you bought a pack of cigarettes in those days you got a photo which was then pasted in the correct spot in the book or you sent in the coupon for the larger photos. 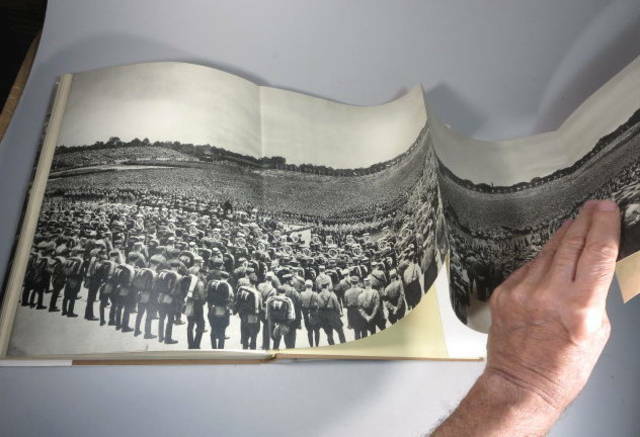 The book also contains the larger photos and they are outstanding. 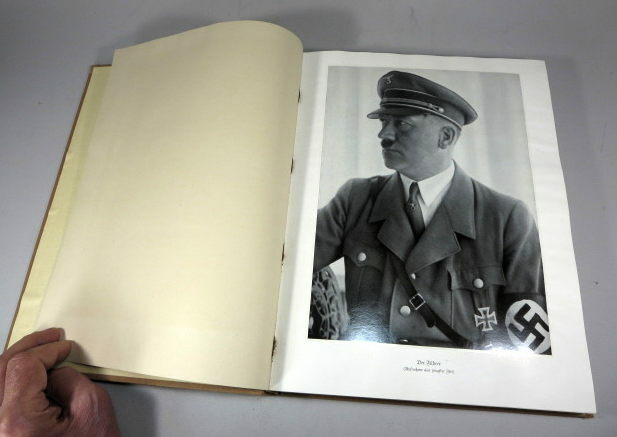 The size of the book is approx. 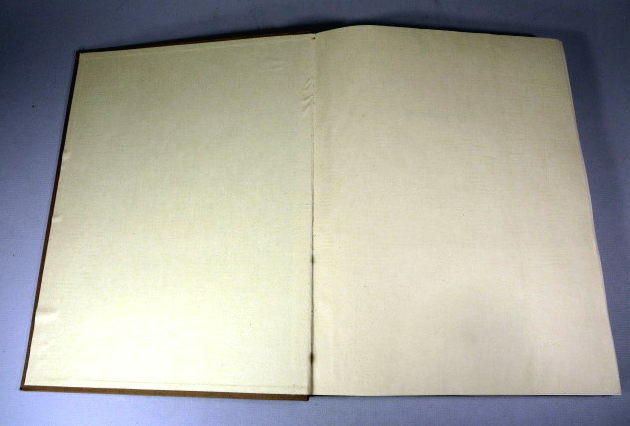 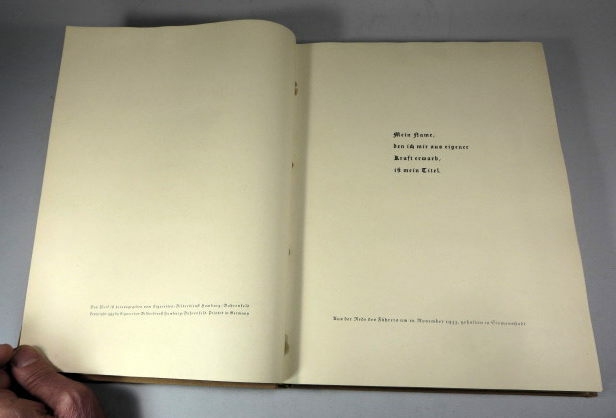 31.6 x 24.3 centimeters or 9.5 x 12.5 inches and there are 151 pages. 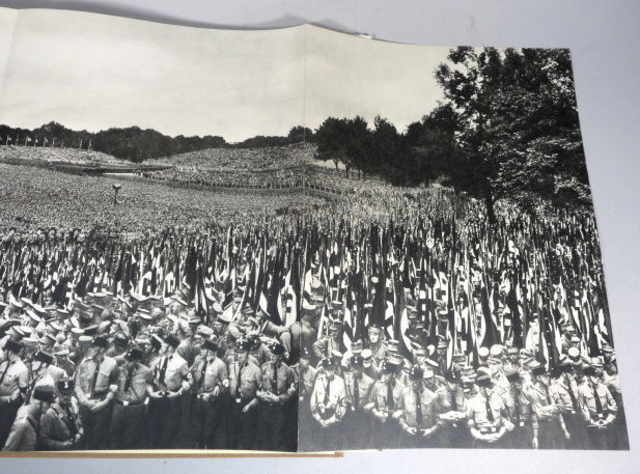 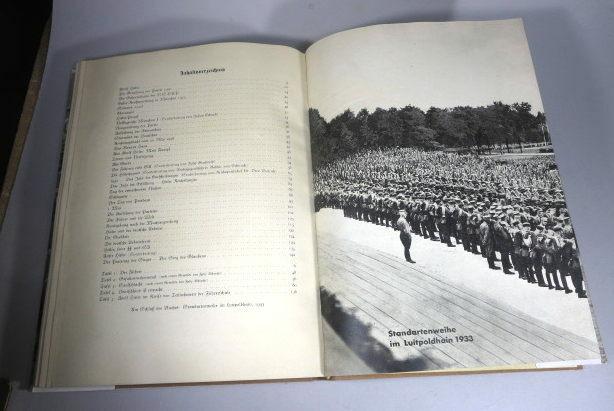 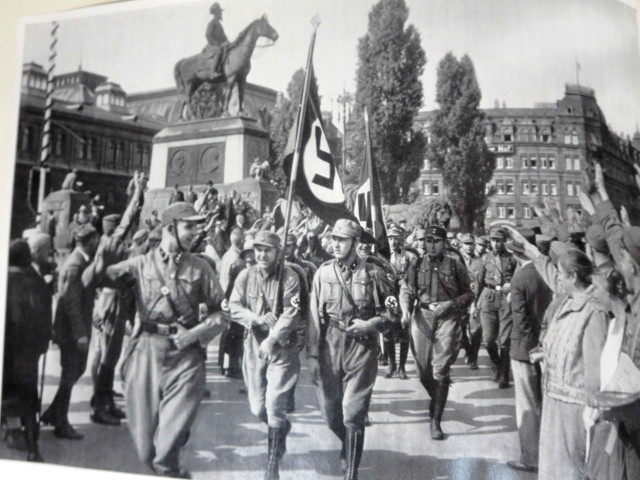 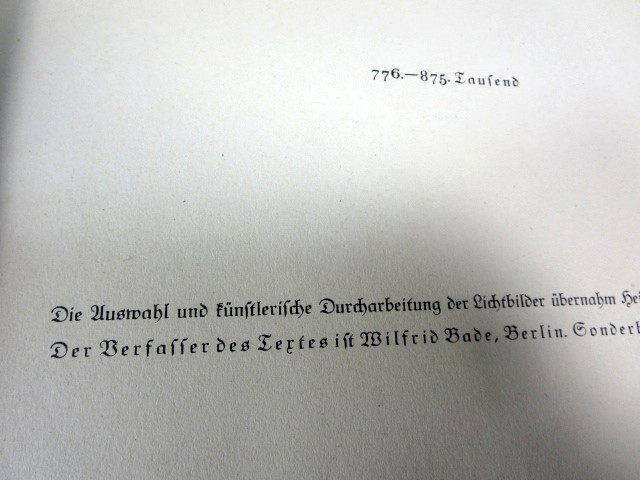 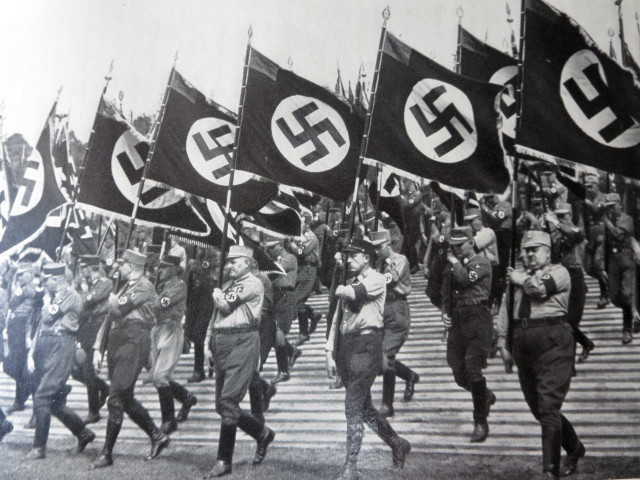 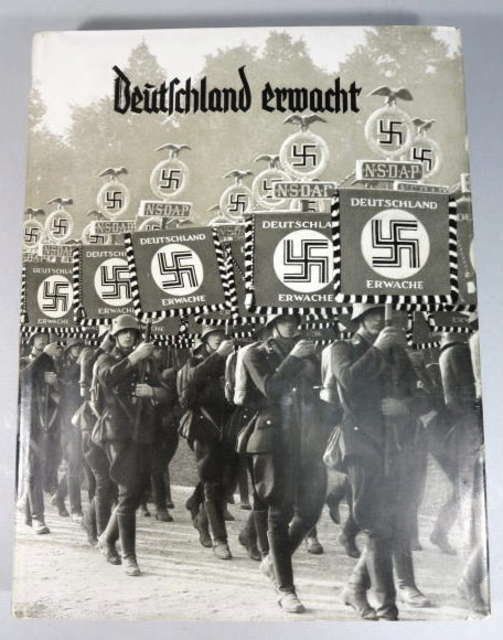 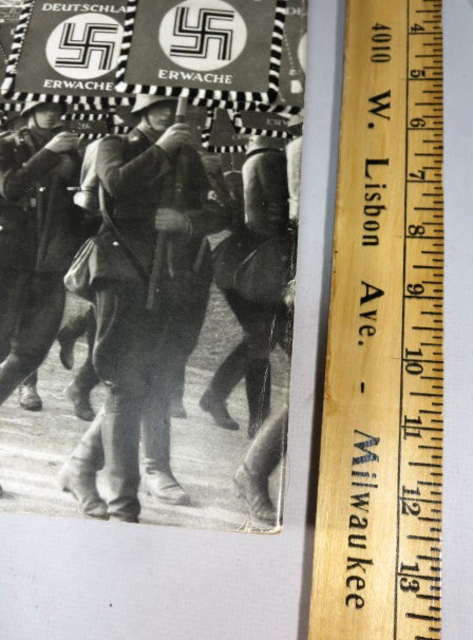 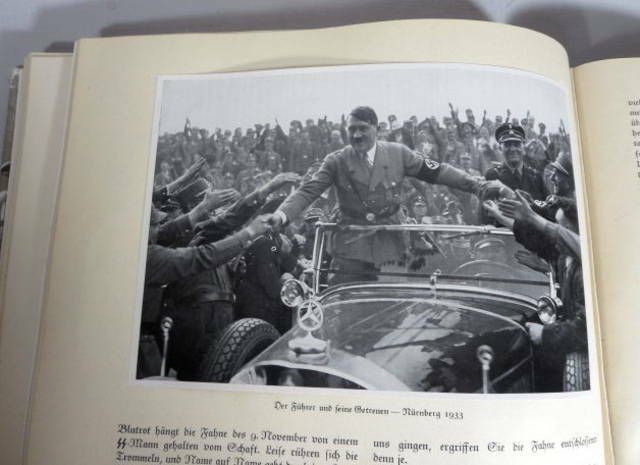 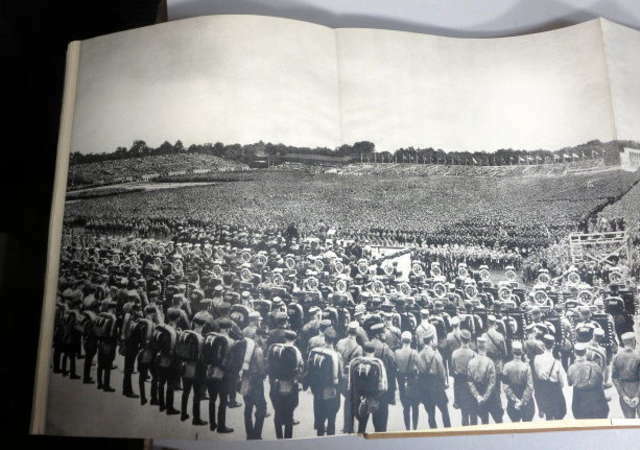 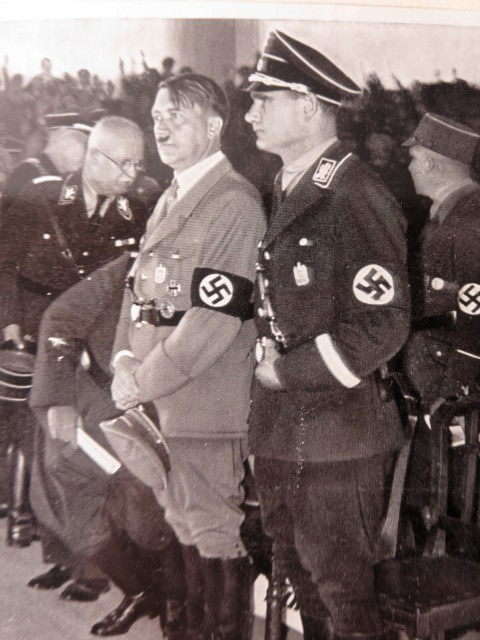 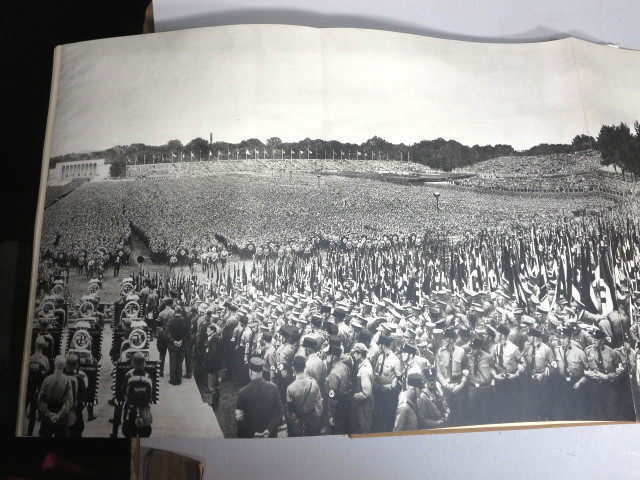 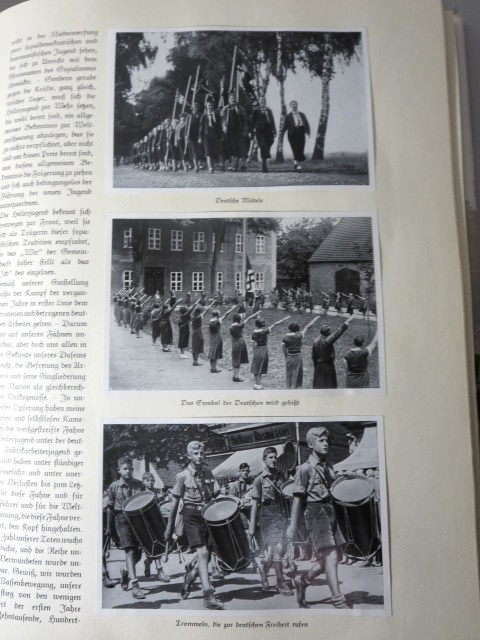 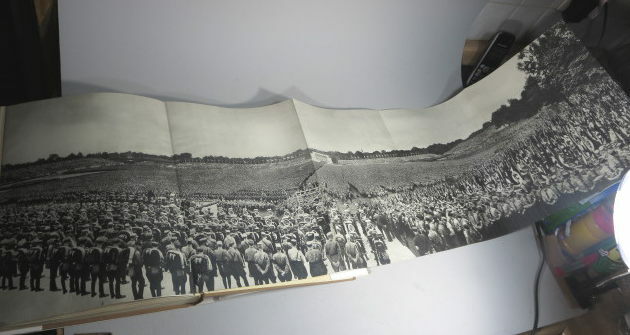 At the end of the book there is a huge 31 x 129 centimeters or 12-1/8 by 50.5 inch fold out picture of a very large rally in 1933 - see photo. 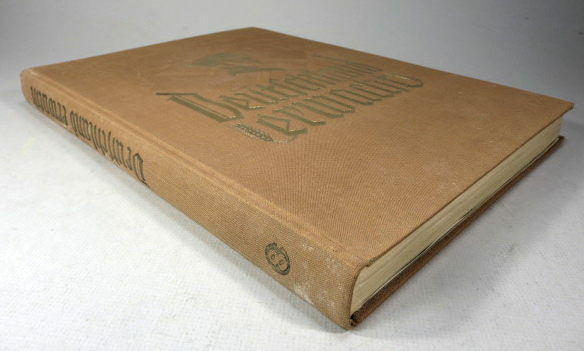 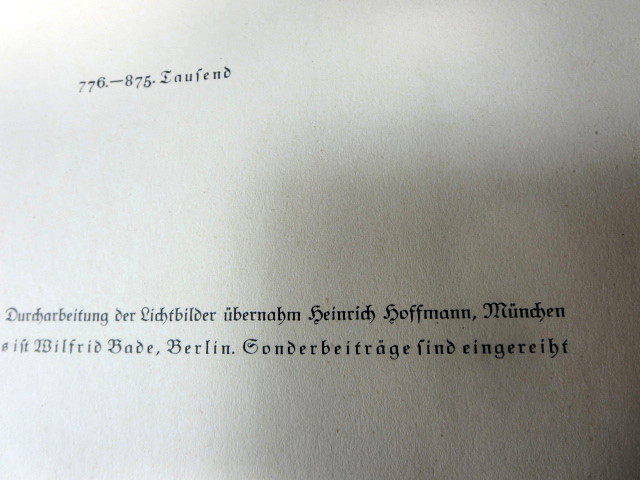 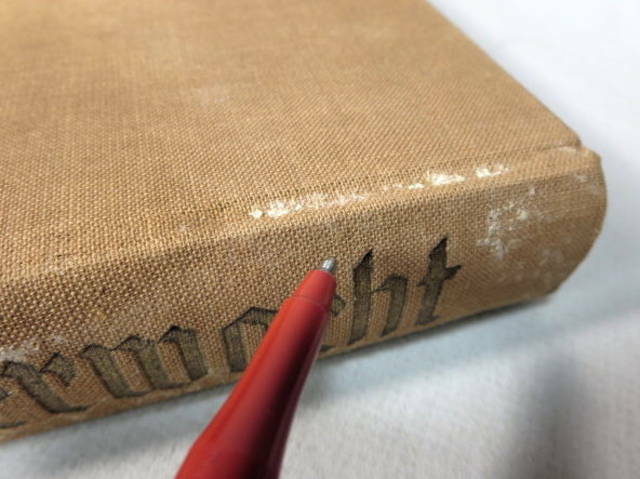 The condition is very good to very good+ for the book itself and very good for the dust cover. 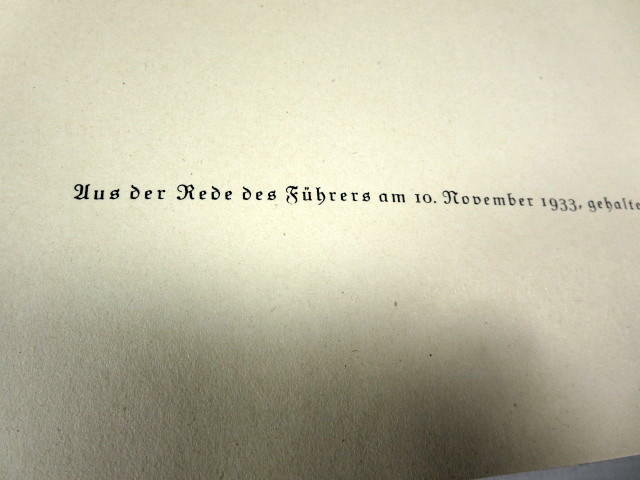 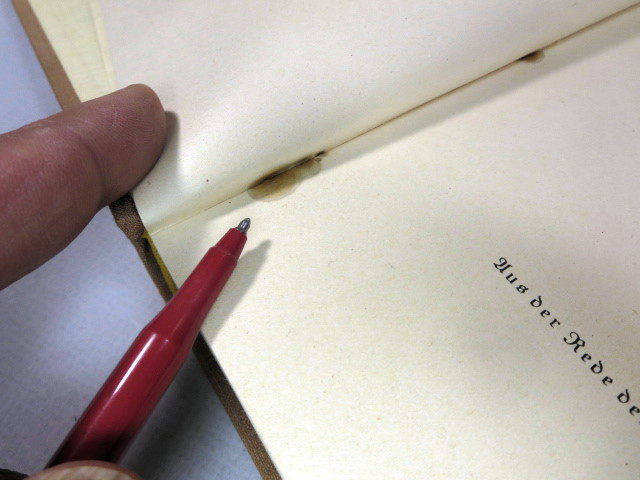 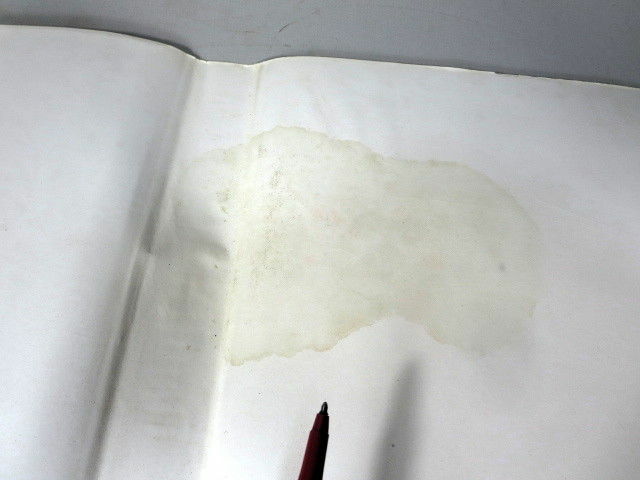 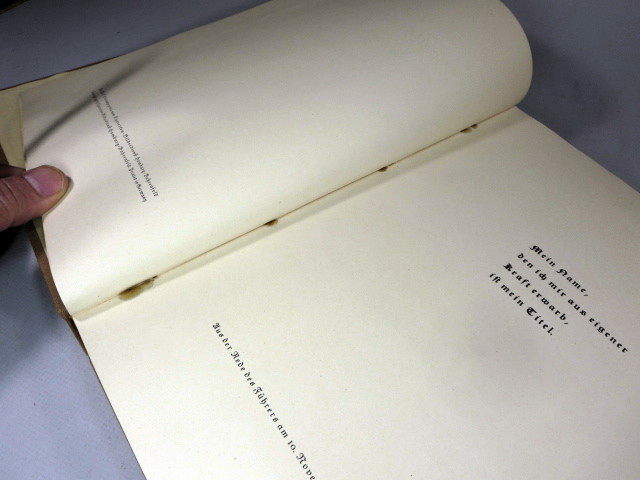 The covers of the book have some soiling stains and wear as shown in the photos pointed out with a red pen. 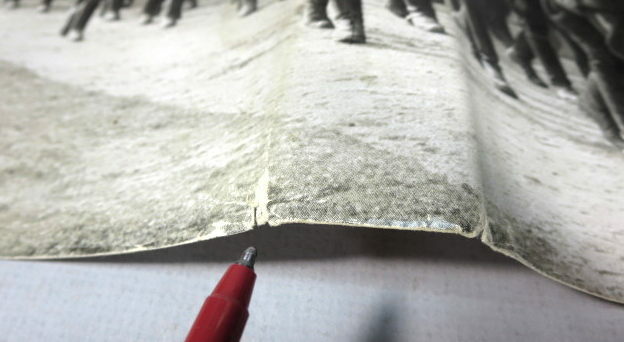 The dust jacket has some wear and tiny tears on the edges as shown in the photos but is still very nice. 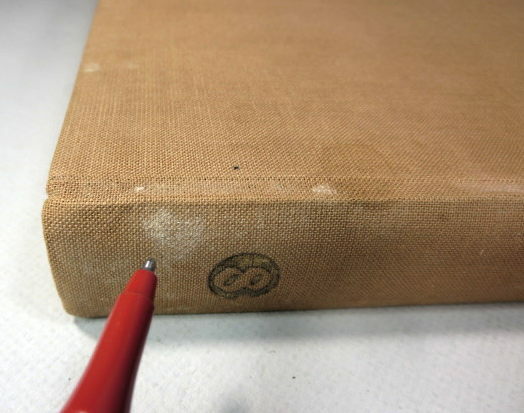 The binding is good. 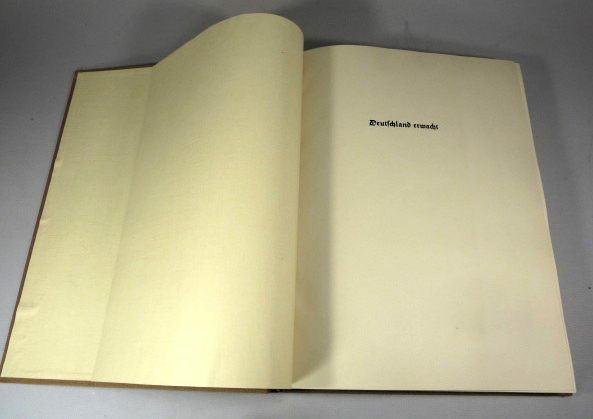 Inside, I found no tears, markings, folded, cut, clipped or missing pages. 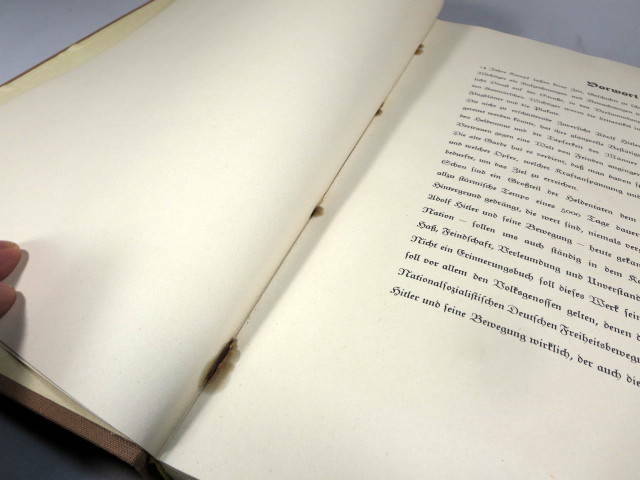 The pages all have nice sharp corners with no folds. 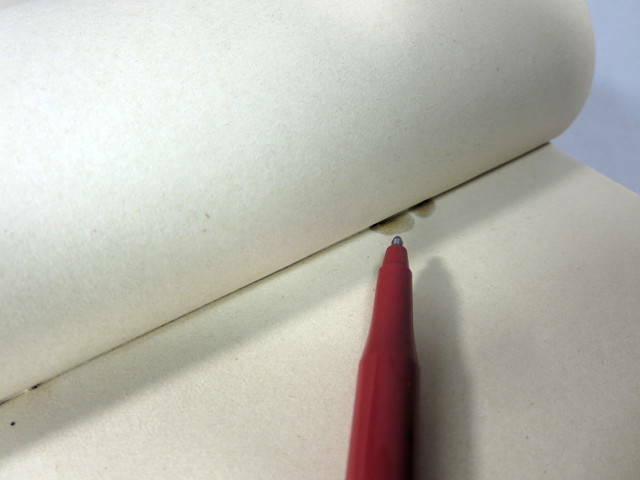 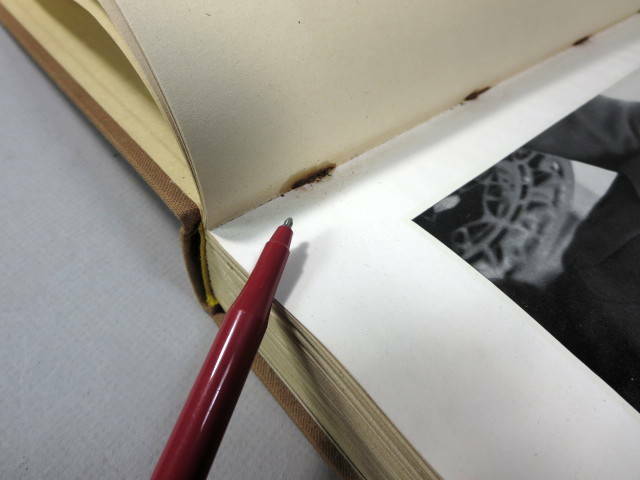 There is some browning from glue or ageing around the staples in the binding on some pages as shown in the photos. 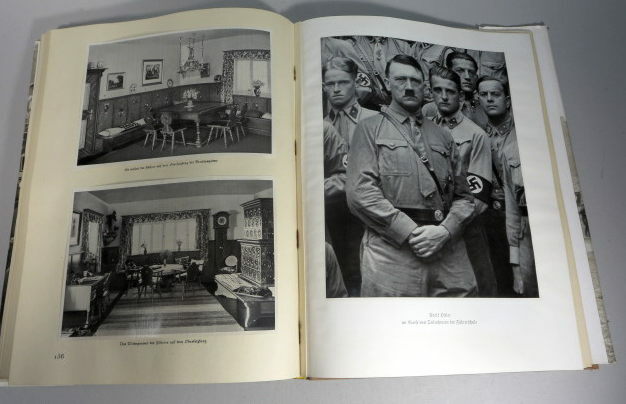 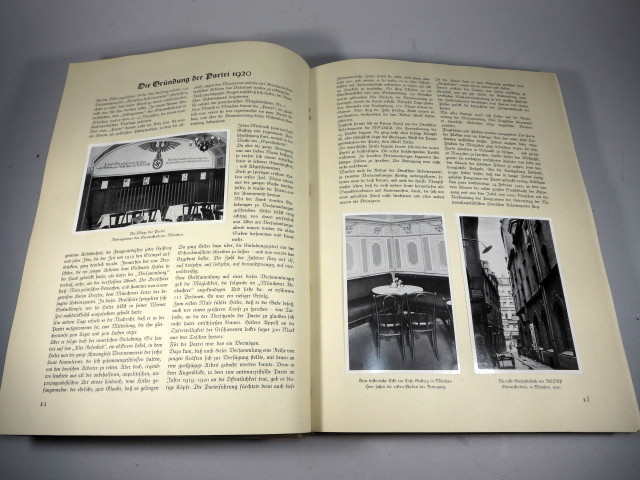 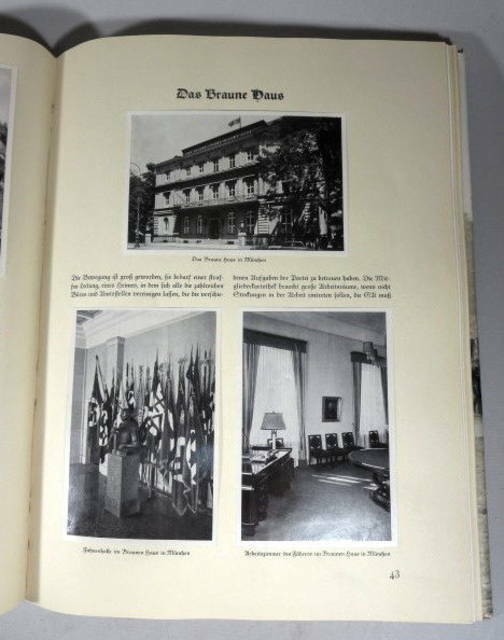 Otherwise, it's very clean inside with lots of photos in the book itself besides the cigarette card pictures. 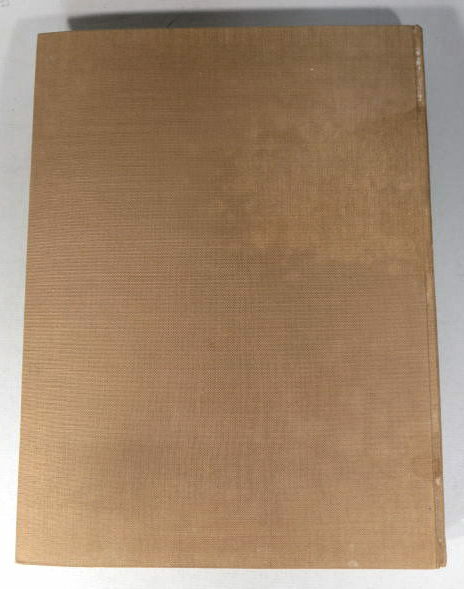 The outer cardboard storage box is in good+ condition with some wear, creases, tearing and light soiling but no major damage as shown in the pictures. 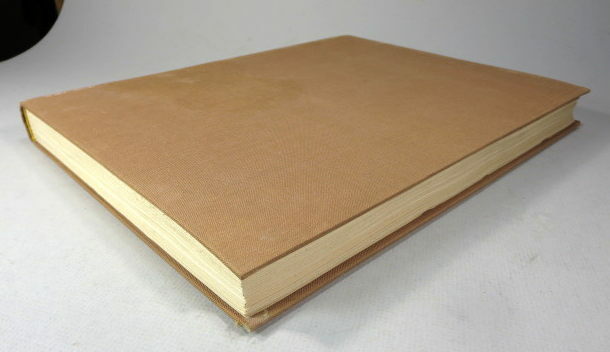 $145.00 PLUS $12.00 USA SHIPPING. 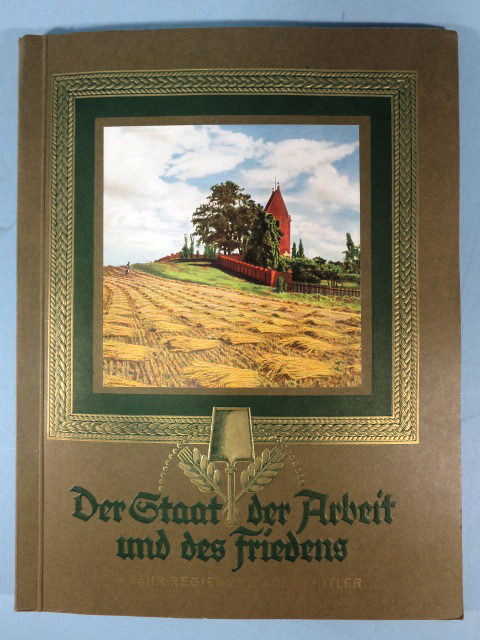 TOTAL PRICE IS $157.00 WHICH INCLUDES U.S.A. 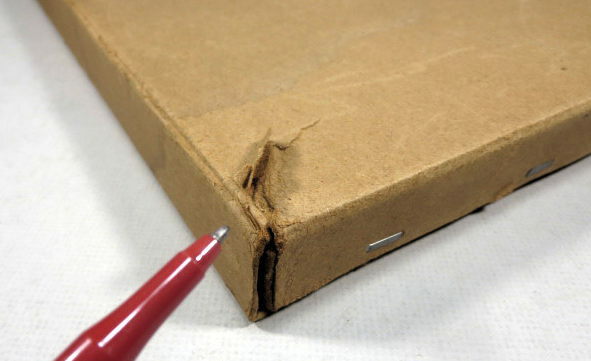 SHIPPING AND INSURANCE ONLY. 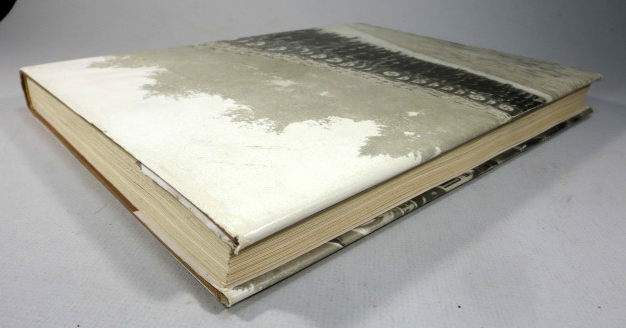 INTERNATIONAL PRICE IS US$ 145.00 PLUS SHIPPING CHARGES. 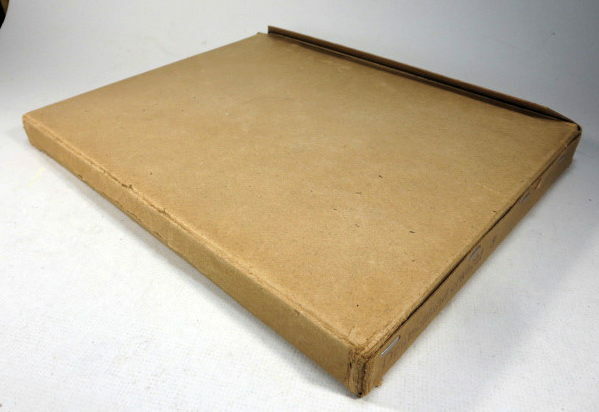 FOR INTERNATIONAL SHIPPING PLEASE SEND US AN EMAIL WITH YOUR SHIPPING ADDRESS. 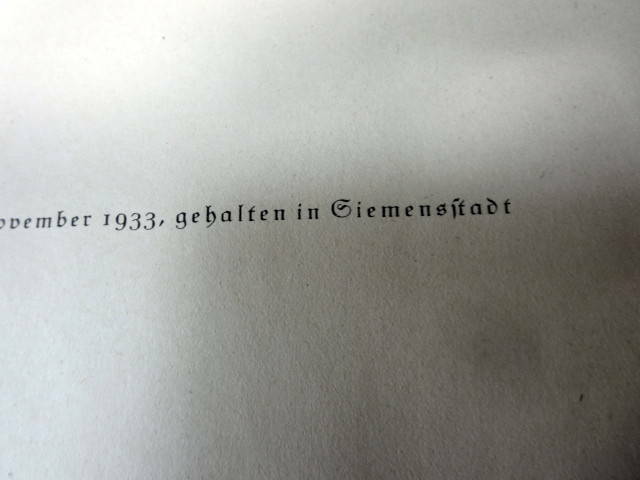 USE THE "CONTACT US" FORM ON THE LEFT SIDE OF THIS PAGE. 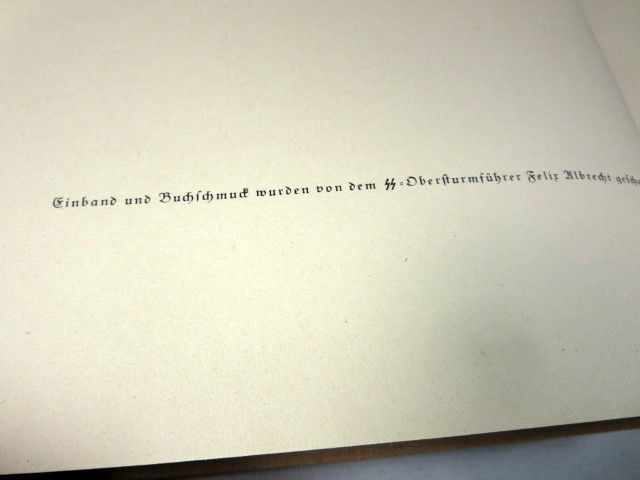 WE WILL THEN SEND YOU A PAYPAL INVOICE FOR THE TOTAL AMOUNT INCLUDING SHIPPING TO YOUR COUNTRY.